Migrating an existing on-premises SQL Server application to the cloud can be a daunting task that consists of many complicated steps. In this webinar, we will focus on what is perhaps the MOST important step of the process. We will dive deep into the most critical considerations for moving your data and databases into the cloud, whether you use Microsoft Azure, Amazon, or another cloud provider. We'll also share demos and overviews of native features within SQL Server that enable you to move data, as well as show powerful tools from the SentryOne product set that can make data migrations painless. Join us for this informative panel discussion with some of the industry’s top experts! Download the session to view on-demand! Kevin (@kekline) is a founder and former president of PASS and the author of popular IT books like SQL in a Nutshell. Kevin is a renowned database expert, software industry veteran, Microsoft MVP, Google Author, and long-time blogger at sqlblog.com and at kevinekline.com. Currently, Kevin is responsible for SentryOne's technical sales and marketing initiatives and is also heavily involved in product design activities. Mike (@mikewo) is the Lead Cloud Engineer for SentryOne, working on cloud-based products, services, and related technologies. 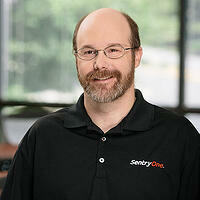 Mike has more than 20 years of experience in the industry and has focused on cloud technologies since 2009. 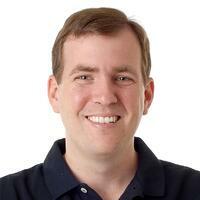 He was one of the first Microsoft Azure MVPs, first recognized in 2010, and has been awarded an MVP each year since. 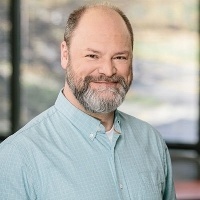 Brian Knight is the owner and founder of Pragmatic Works and is a serial entrepreneur, starting up other companies throughout his prolific career. Brian is a contributing columnist at several technical magazines and does regular webcasts. He is the author of more than fifteen technical books. Brian has spoken at dozens of conferences like PASS, SQL Connections, and TechEd and many Code Camps. He has received a number of awards from the state, governor, and press, including the Business Ambassador Award (Governor) and Top CEO (Jacksonville Magazine). He is on the board of the region’s Chamber of Commerce and Economic Development Corporation.